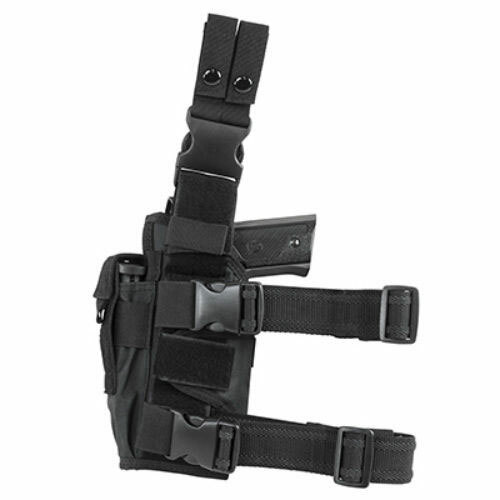 This Adjustable Universal Holster features several flaps with hook and loop fasteners. This allows the shooter to adjust the fit around their pistol. Whether the shooter's pistol is equipped with a tactical flashlight/laser that is attached to their pistols accessory rail or not. 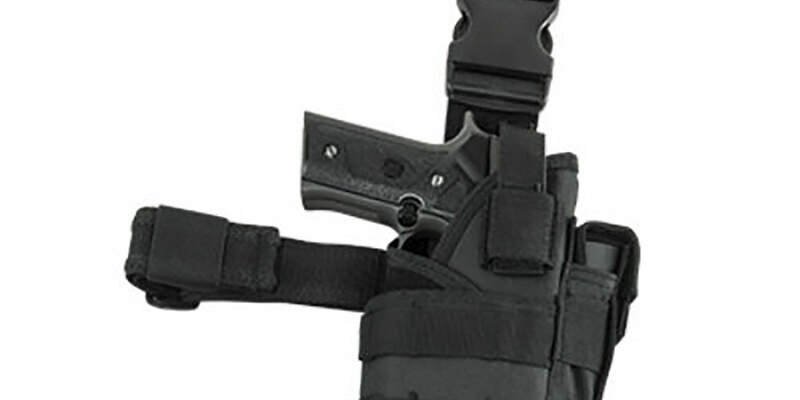 This holster can be easily changed to fit various pistol types or several configurations of the same pistol. Thigh Straps has a dual row of rubber material to keep the thigh straps in place. Plastic Quick Connect Buckles for attaching the Holster to your thighs for a quick and easy attachment. Strap Slider for adjustability and to secure the loose end of the strap. Elastic Band sewn with Quick Connect Buckle to expand and contract with thigh muscles.